How can Interactive Touchscreen Rental Benefit the Education/Training Sector? The advent of touchscreen technology has brought a revolutionary change not just in the field of marketing and advertisement but has brought a positive shift in the education and training sectors. Moreover, the experts in the education sector believe that the interactive touchscreens will replace the whiteboards going forward. Though the large interactive touchscreens can actually have a positive impact in the field of education, the only hurdle which is sabotaging the widespread use of the touchscreens is the price factor of the interactive touchscreens in the present era. However, the touchscreen rental can propose to be the ideal solution to tap all the benefits of bringing the touchscreen technology in the field of education. Here at VRS Technologies, we provide interactive touchscreen rental Dubai for various niches spanning education, advertising, marketing, training, and many more. Student Engagement: With a major shift in the teaching techniques implemented by the teachers in the classroom, touchscreen technology is gaining momentum rapidly. Instead of the traditional teaching methods where the teacher focuses more on the content delivery, today the imparters of education are looking at collaborative methods to engage students. The touchscreen and the multi-touch screen technologies enable the users to participate at the same time on the multi-sensory digital content using the fingers or through the use of the stylus. Teacher-friendly: Another major benefit of the touchscreens is that the teachers have the freedom to choose their software application that can enhance the learning experience in the classroom. Also, there is software available with the touchscreens which helps the teachers with the lesson plans, and other materials across different platforms. Ease of Use: The touchscreen technology is quite easy to use. The user simply will have to connect the touchscreen to the computer or Mac by means of the HDMI or USB cable and have it working in no time. Moreover, there are some touchscreen technologies which also carry the option to have the PCs installed within them. With passing time, the ease of using the touchscreens also is by far improving. Today, we stand at a point where the mini-PCs can be inserted in the slot behind the touchscreens for unparalleled ease of use. Captivating Experience: Today, touchscreens come integrated with audio facility combined with amazing picture quality supported by vibrant colors, for a captivating experience in the classroom. What’s more, the touchscreens of late come equipped with the web camera which can turn the entire unit into a video-conferencing unit. Dependability: The interactive touchscreen technology which is touted for 50,000 hours of use makes it a cost-effective solution for high-end classroom experience. Most of the touchscreens today come with the warranty that taps the 24/7 use of the touchscreens. With many progressive schools considering adopting the touchscreen technology to improve the classroom experience of the students manifold, the future of touchscreens seems bright and largely hopeful. 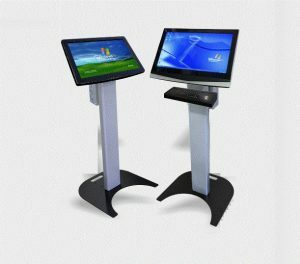 For interactive touch Screen rental Dubai, contact VRS Technologies at +971-55-5182748 or visit our website www.vrscomputers.com for more information.